The BendPak XPR-10-168-168 two post lift features 24" of extended overhead clearance for servicing high profile trucks and vans. 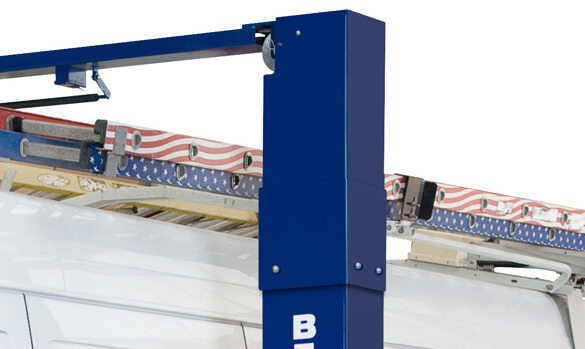 The BendPak XPR-10S-168 two-post car lift features an adjustable top beam to accommodate wide or narrow installations. This unique configurable design allows you to choose the best setting for your specific space or vehicle lifting requirements. The dependable XPR-Series design requires very little service or maintenance for an overall lower cost of ownership. This rugged two-post lift feature dual "direct-drive" low-pressure cylinders, maintenance-free UHMW load bearings, single-piece columns, extra-tall lifting carriages and triple-telescoping arm configuration for increase arm positioning versatility. Bottom line—when you buy BendPak, you can expect a significant boost in performance and life expectancy. In fact, your BendPak XPR-10​S168A might be the last auto hoist you ever purchase. No one surpasses us in quality and safety. Not now, not ever. When you get a BendPak, you get more than just a fantastic hoist. You get peace of mind. That's the BendPak benefit. Other lift manufacturers might charge extra for these necessary adapters, but they come standard with every XPR-Series Car Lift. Ideal for use with trucks and vans. Increases overall arm positioning for lifting a variety of different wheel base vehicles. Overall arm sweep and minimum arm reach are also extended to precisely lift vehicles that have one body construction, OEM recommended pick-up points and wide and / or narrow wheelbase configurations. To minimize the chance of damaging vehicles with low-hanging vehicle doors, we completely redesigned our two-post lift arm tube supports to allow for better clearance. Each lift arm is equipped with durable arm restraints that automatically engage each time the lift is raised. When the two-post car lift is lowered, the gear arm restraints automatically disengage to provide easy positioning of the lift arms. Wide, full-face rubber door guards provide added security against vehicle door damage. Take a close look at BendPak two-post car lift carriages (the lifting assembly that the arms are attached to). Now take a look at the competition. You’ll notice BendPak carriages are 53” tall and considerably taller than most, which minimizes the stress placed on the load bearings and columns. Rather than using roller bearings that need to be constantly lubricated, every XPR-Series Lift carriage uses high-tech UHMW (ultra-high molecular weight polyethylene) load bearings that never need lubrication and are designed to last the entire life of the car lift. BendPak specifically manufactures their columns using single-piece construction for added strength and less fatigue under heavy load conditions. Wide or narrow car lift configurations are available, allowing you to maximize your floor space. BendPak’s dual-synchro equalization system maintains equal lifting and provides operators with a stable, level vehicle working condition. Integrated into every XPR-Series hydraulic cylinder is a one-piece, pilot fitted, machined steel piston that is wrapped with specially designed, pressure loaded U-cup piston seals, backups and wear bands that virtually eliminate any fluid bypass. The welded cylinder body is made from robust steel tubing produced to exceed ASTM specifications. This combination of superb base material and superior processing ensures that the cylinders remain straight, smooth and last a very long time. All XPR-Series Car Lifts feature a durable powder-coat finish that gives the metal a high-quality, extremely durable finish which can withstand even the harshest environmental or chemical conditions. Unlike other companies that claim to powder coat, we take pride in our meticulous 10-step process. The powder coat finish is applied using an electrostatic spray gun. The powder “sticks” to the surface in a fashion similar to how dust sticks to a television screen. Once the lift parts are powder coated, a conveyor system routes them through a super-sized curing oven where they are left to bake at 400° F for 45 minutes. Included with every BendPak car and truck lift are detailed installation and maintenance instructions, graphic safety decals, maintenance decals, vehicle lifting point guide and a safety instruction placard to train personnel on proper safety procedures and maintenance guidelines. 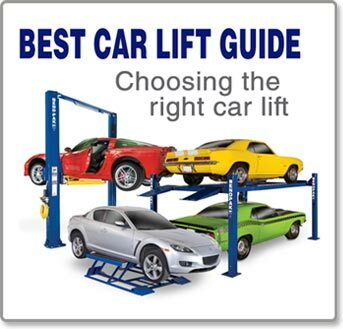 *NOTE: Not all car lift models sold by Wrenchers Warehouse meet the standards as prescribed by ANSI/ALI ALCTV-(current edition) or ANSI/UL 201. 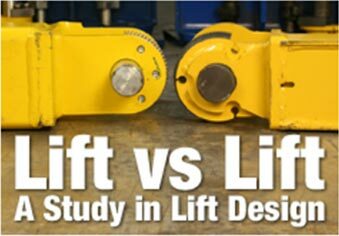 User or Buyer assumes full responsibility for any state, county, federal or international mandated permit, license, code, standard, certification, or any other mandate required related to the installation and/or operation of the car lift. Read full General Disclaimer details. Extended overhead clearance for servicing high profile trucks and vans. Overall height: 168" / 4267 mm. Overall width: 132" - 145"